Project: K.I.T.T. : Now I Can Open The Passenger Door! Now I Can Open The Passenger Door! When I bought the car the passenger side door was inaccessible from the outside. 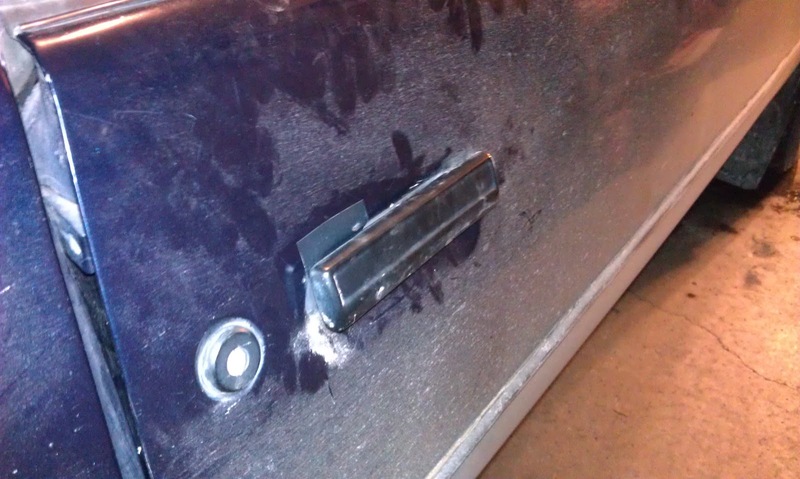 It appears someone tried to break in to the car and managed to break the door handle and severely bend the metal latch assembly. 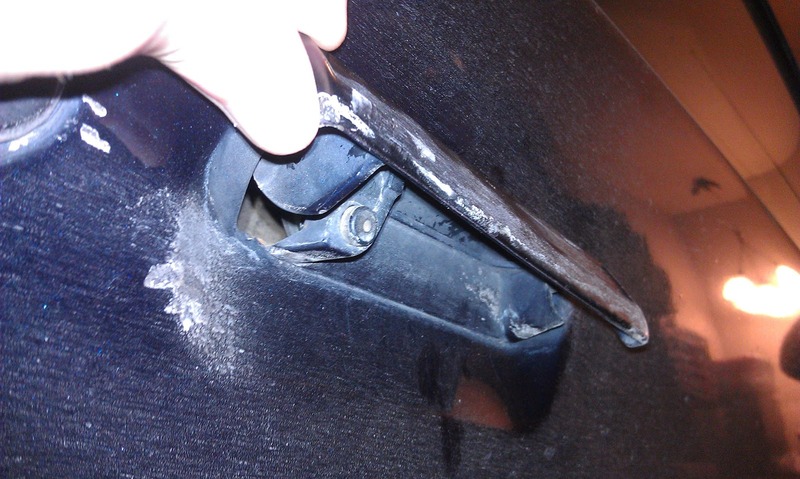 Although there is nothing I can do for the door handle, Sara and I were able to make it functional again by removing the door panel and straightening the latch assembly rod. 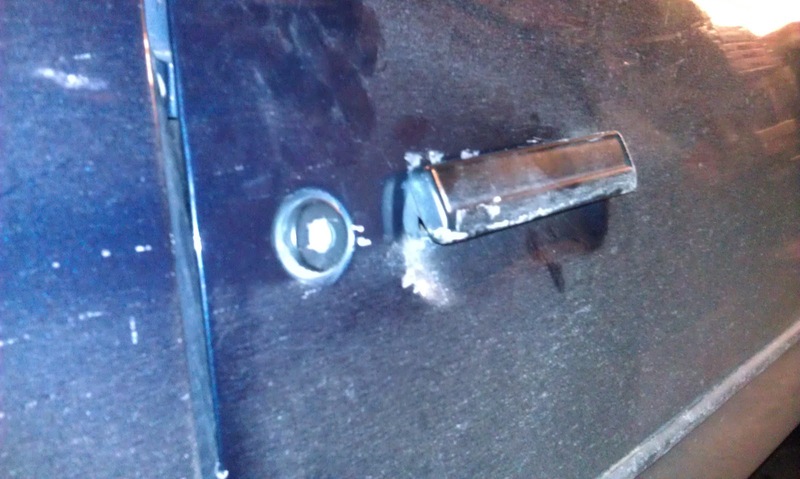 As you can see in the pictures there is paint damage to the door right above the left hand corner of the handle. Although it looks like there are a lot of chips, it is actually salt from the trip home. The marks above the handle are the only areas where the finish is chipped. Even the handle itself is in great shape although it will still need to be replaced since its hinge is broken. Now that you can open the door I added the tape to keep the handle from damaging the paint any further. KITT, Can You Hear Me Buddy?